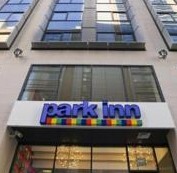 This hotel has three stars and is a few minutes from City Hall, meaning it has a good location in Belfast. The hotel has a sauna, fitness room and a solarium available. WiFi can also be found, but you need to pay an extra fee per day to use the WiFi. A good grill restaurant is located inside the hotel, so if you need something to eat, you do not need to walk for a long time to grab something to eat.